Respect for user privacy is one of the core values of the ParkZen fouding team. It is necessary to collect your location data using your smartphone's GPS in order to determine when you leave a parking spot. However, none of this data is sent to our cloud service and it's processed locally in your device. Only the geolocations of curbside parking spots that you open are made available to other users for a time limit of up to 30 minutes. Even then, no one knows who you are, where you come from or where you are going. Our technology calculates parking spot availability and the location of your parked vehicle dynamically and without requiring your input. The core of the ParkZen software is it's data analysis algorithm that calculates a user's parking status based on a number of parameters such as the user speed, distance from nearest street, GPS location accuracy and changes in the device's orientation. With this immense wealth of data that is made available by modern smartphones, we can filter out user activities that do not constitute transition from walking to driving such as jogging, running or biking and filter out errors. Running ParkZen does not drain your phone's battery. The ParkZen app continously runs in the background in your device in order to accurately determine parking. However, due to our smart data analytics the high precision location accuracy is activated only when you are in motion and close to a street. This feature saves significant amount of energy and does not drain the bulk of your battery life. The larger the user base, the better the performance! In order to democratize free neighborhood curbside parking efficiently we need your help. The bigger the user base of ParkZen the more free spots we calculate and the more we (ParkZen + You) help improve the quality of life in our communities. Thanks for signing up. 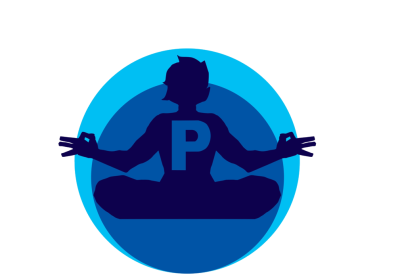 We hope to help you reach your curbside parking zen!